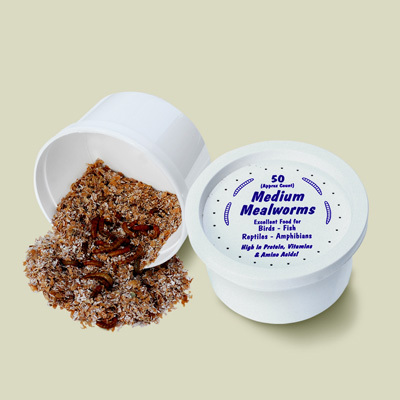 MEDIUM MEALWORMS NOW AVAILABLE IN BULK! 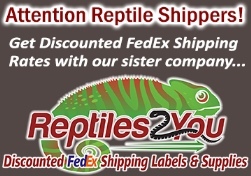 Medium mealworms now available in 500 and 1,000 count in the "Qty/Container" control above! Ghann's live mealworms are an excellent live food for all insect eating pets. Ghann's live mealworms contain 12 of the 16 elements that are found in living tissues, amino acids, and are rich in vitamins A and B. Live mealworms will live for months when kept refrigerated at 45-50 degrees. 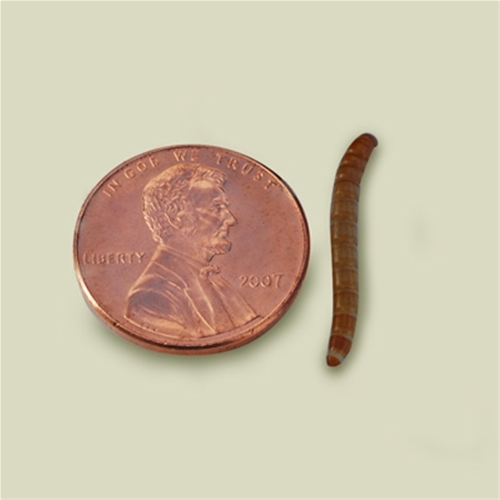 MEDIUM Mealworms are approximately 3/4 inch long.